This supported the Greek government’s efforts to reform the nation’s troubled economy and recapitalise its banks. 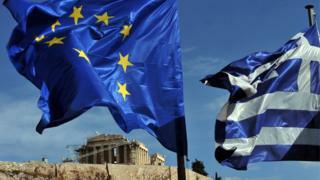 It had made available another $27bn to Greece, but said the country had not needed to call on it. However, Greece’s freedom to manage its own economic affairs will be tempered by enhanced surveillance from the European Union’s executive, the European Commission. This is designed to ensure Athens does not backtrack on reforms agreed with its lenders. Eventually, the bailout loans will have to be repaid. “By enduring this period of austerity we have avoided a Grexit [Greek exit from the European Union]. “It’s certainly the case that the third bailout of 2015 imposed terms which were very, very demanding and very painful indeed.